The very latest edition to the very successful range of Reflex boats is the all new design Reflex 720 Hard Top. Using the Reflex unique award wining hull design for superior comfort in those offshore conditions or just for cruising the lakes and harbours. 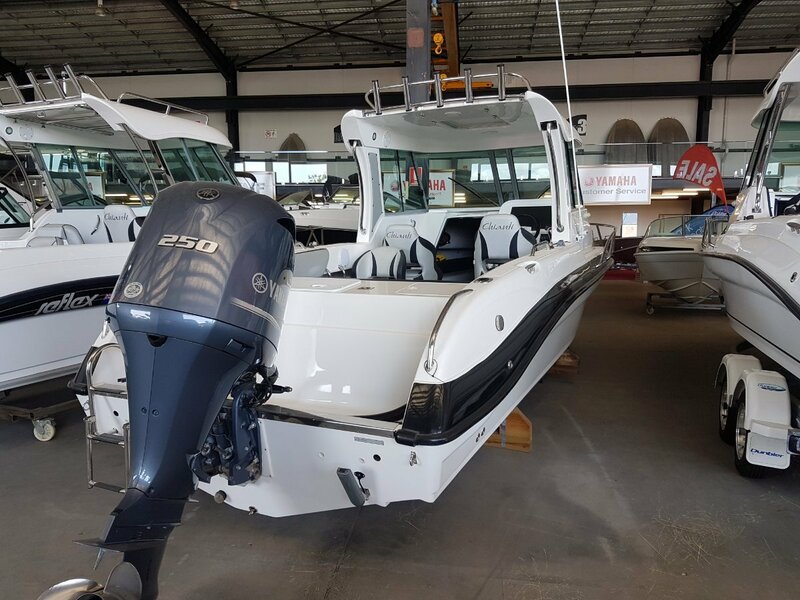 Featuring superior bucket seats and foldaway rear seating which provides a large uncluttered cockpit floor for the serious fisherman. Powered by a 250HP Yamaha on a Dunbier ALLOY trailer with plenty of options included. Sliding front cabin lockable door.